Much as SampleRadar enjoys living the country life, it's in the city where all the late-night action happens. This collection of samples celebrates the sleazy concrete jungle soundtracks that you've heard in gangster movies, cop shows and crime-based videogames, so keep your wits about you and dive in. 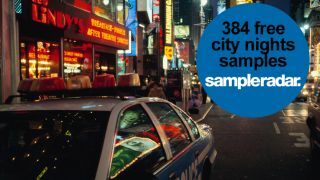 The city nights samples are divided into four tempo-labelled folders and contain bass, beat, guitar and keyboard samples. The city nights samples are supplied in a zip file, so you'll need to extract them before you can see them. Enjoy!